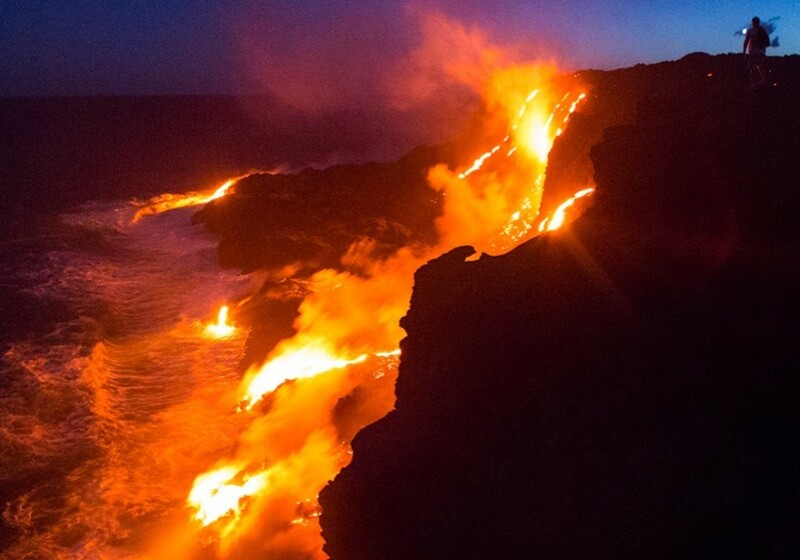 THE BIG ISLAND of Hawai’i is alive in a way few places on this planet are. Consisting of 5 interlocked shield volcanoes, the island is the exposed part of the world’s largest mountain measuring over 10,000 m (33,000 ft) when measured from it’s base on the sea floor and 13,800 ft above sea level (Mauna Kea) and 13,678 ft (Mauna Loa). On these 4,028 square miles of land you’ll find something like 8 (or 10 or 11 depending on who you’re listening to…) of the 13 climate zones found on earth complete with one of the most active volcanoes on earth, dense jungle, misty cloud forests, bone dry deserts, moonscapes of lava, and rolling pastureland all surrounded by 266 miles of coastline home to ocean environments as varied as those found on land. Years can be spent exploring this island and still just scratch the surface of what’s available but there are a few highlights that anyone visiting this crazy beautiful rock should check out. 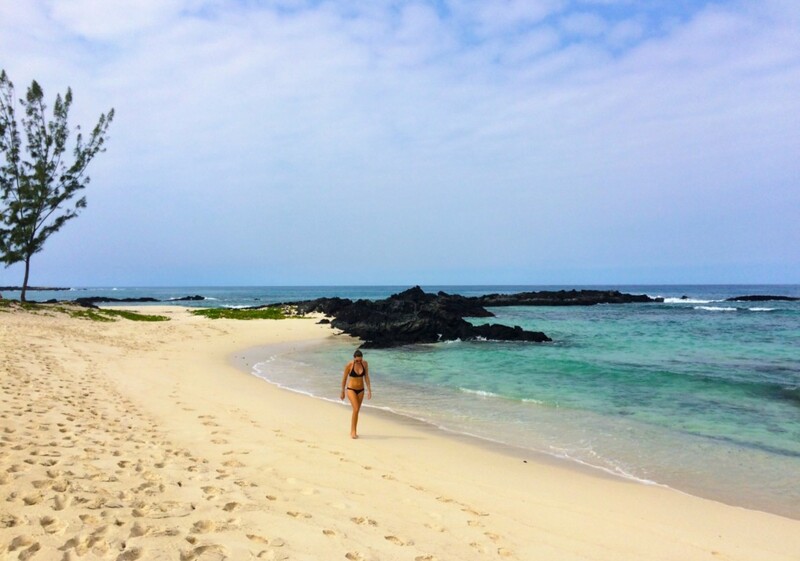 Photo of Makalawena Beach by Cody Doucette on travelstoke. Great beach! Not the easiest place to find and takes either a mile walk or a serious 4×4 drive over the lava to get there but the effort is definitely worth it. 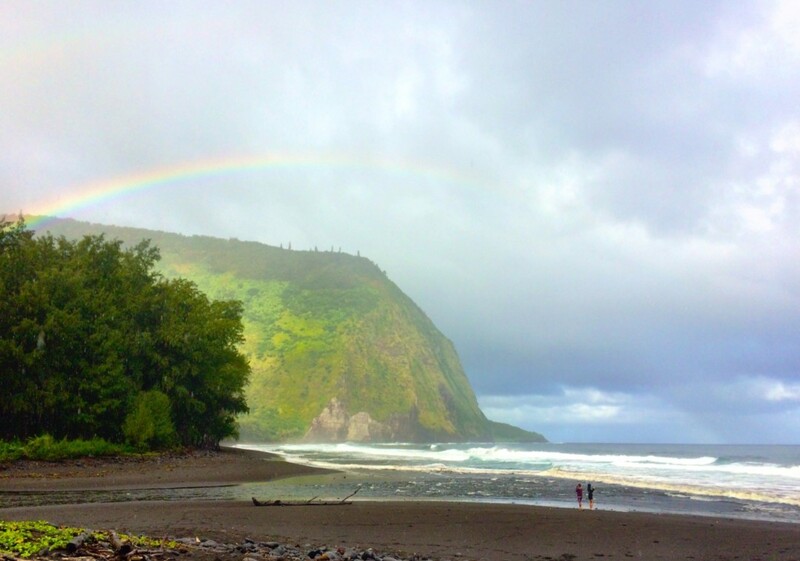 Photo of Waipio Black Sand Beach by Cody Doucette on travelstoke. Valley of the kings. Probably one of the most spectacular valleys in all of the Hawaiian islands. The road is treacherous so make sure your rig can handle it if you plan on driving down. The land is sacred and much of it is private property so tread lightly and show respect. 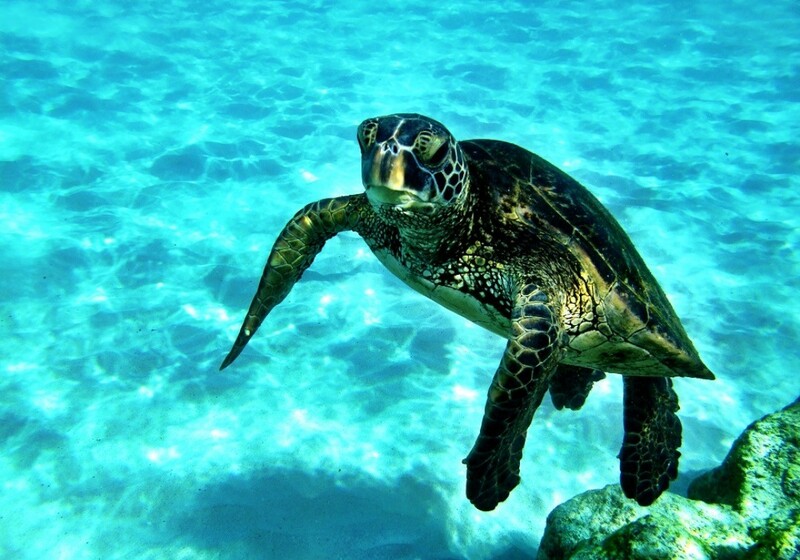 Photo of Kua Bay by Cody Doucette on travelstoke. 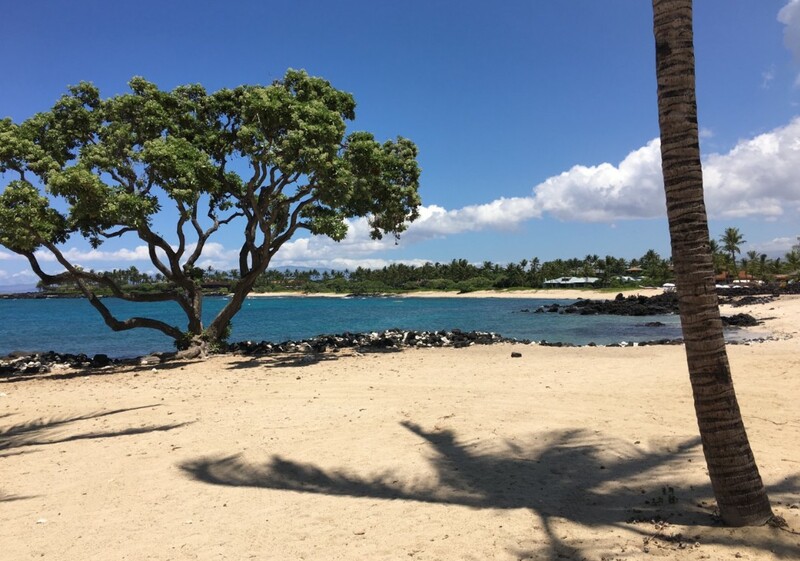 One of the best beaches on the Kona coast. Also one of the busiest so definitely go early. Some great body surfing on offer during the higher tides and at low tide there was a family of honu (green sea turtles) in the shallows. Water clarity was amazing which made for some great images. Photo of Kukio “keiki” Beach by Cody Doucette on travelstoke. Great place to spend the day. Enter through the Kukio development gate and ask them for a beach pass to get through the gate. Numbers of beach passes are limited though so it pays to go early… Especially on weekends or holidays. Photo of Kalapana State Wayside Park by Cody Doucette on travelstoke. Unreal experience to watch the lava flow off the cliff and into the ocean. Conditions and exact location of the flow are constantly changing but just head to the end of the road from Pahoa towards Kalapana and you can’t miss it. We rented bikes for the 4-5 mile ride in (9 miles round trip) to make it a bit quicker but plenty of people hike in along the road.